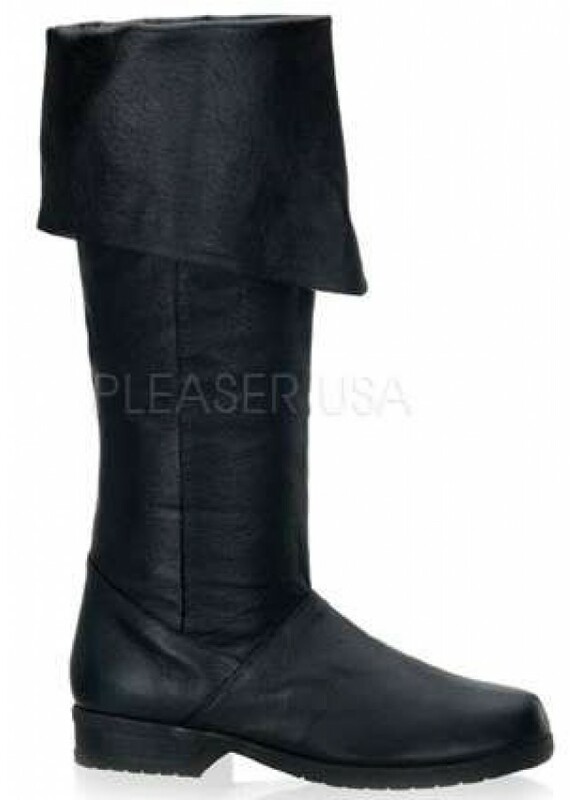 This genuine pig leather low heeled black knee high boot is a favorite for Renaissance Fairs for both men and women with fold-over cuff. 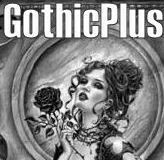 Perfect for men or women as pirate or costume boots - or any time! 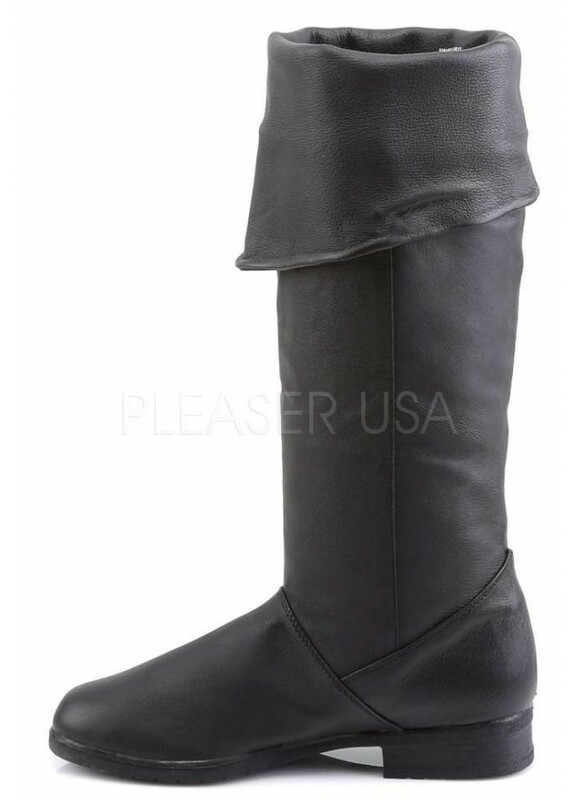 Knee high length black leather boot has fold over cuffed top. Low 1 1/2 inch heel. Shaft is ready for you to add your own touches or wear as is. Item Number: PL-MAVERICK-8812 | Approximate Size (Inches): 10.00 wide x 14.00 deep x 8.00 high | Approximate Shipping Weight: 3.00 lbs.